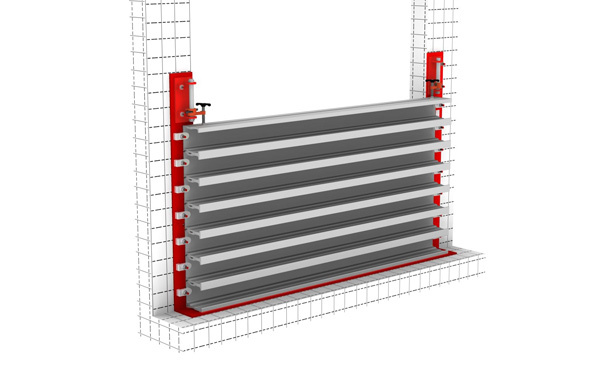 The modular design of CGSL stop log style enables convenient storage and transportation to site; and easy deployment by one or two people when needed. Compression gaskets – made of high-density, closed-cell neoprene – provide an effective water seal with minimum maintenance. When floodwaters threaten, simply stack logs on top of each other, tighten dogs to secure the logs and attach bolts. Our CGSL stackable barriers are available in 6” and 8” high logs and are engineered for higher flood waters as compared to our line of FastLogs™. Various barrier heights can be achieved by simply adding additional logs. 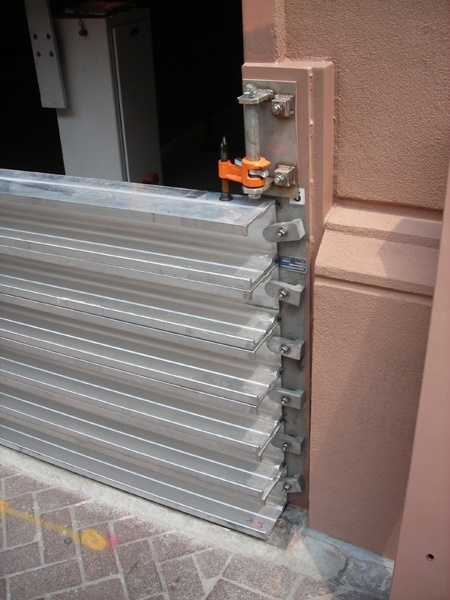 The maximum barrier height is a function of the width of the opening. 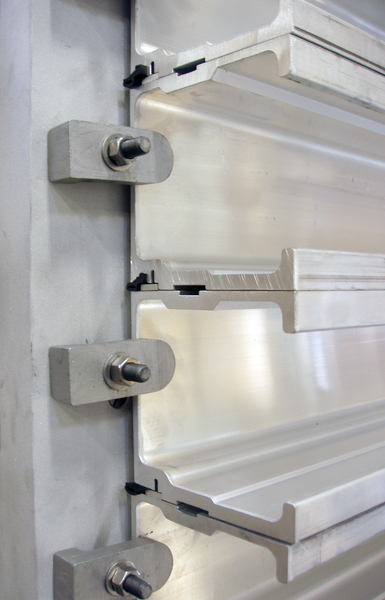 As with our FastLogs™, these barriers are easily stored and transported when needed. 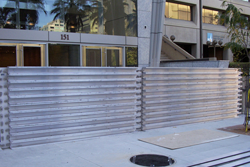 The CGSL stop log provide effective flood protection in commercial and industrial applications and for critical infrastructure and civic facilities such as transit systems, utilities, stadiums and parking garages. 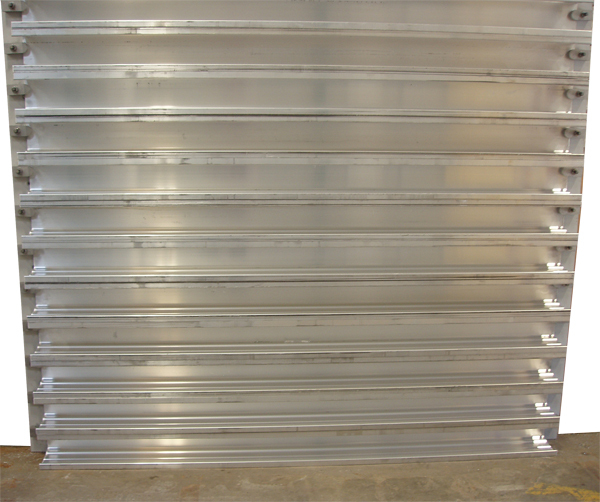 These barriers are engineered to handle seated and unseated loads in large openings where very low leakage is required in large openings. Suitable for new or existing construction. Conversion Frame: Primed with rust inhibitive, lead free, red primer. 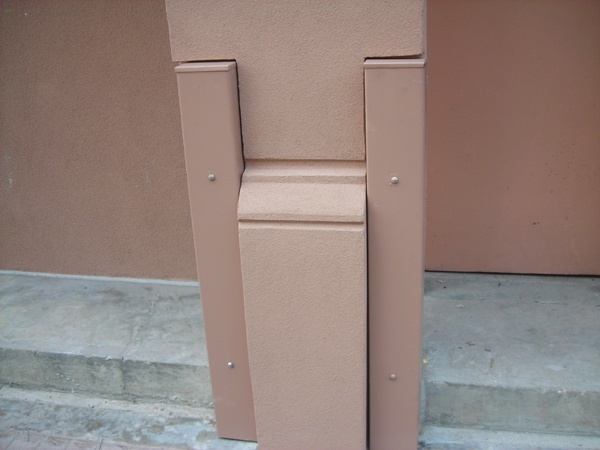 Every CG3S Flood Barrier is custom built from shop drawings to ensure that it meets the special needs of your building or facility. 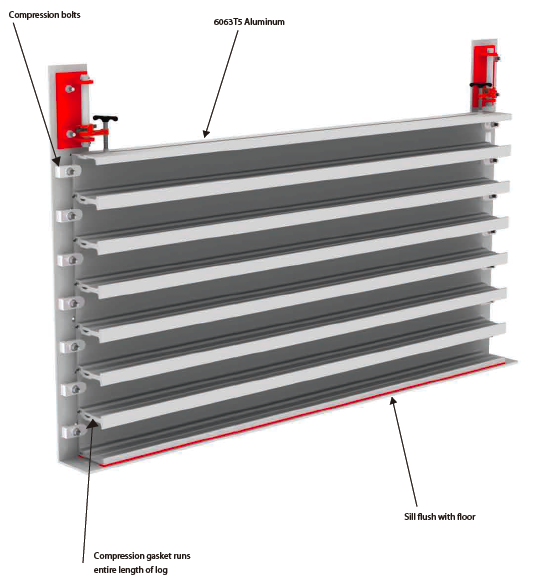 Barrier is designed with a minimum of a 2:1 factor of safety based on material yield strength, and will provide an effective seal against the flood level for which it is designed.